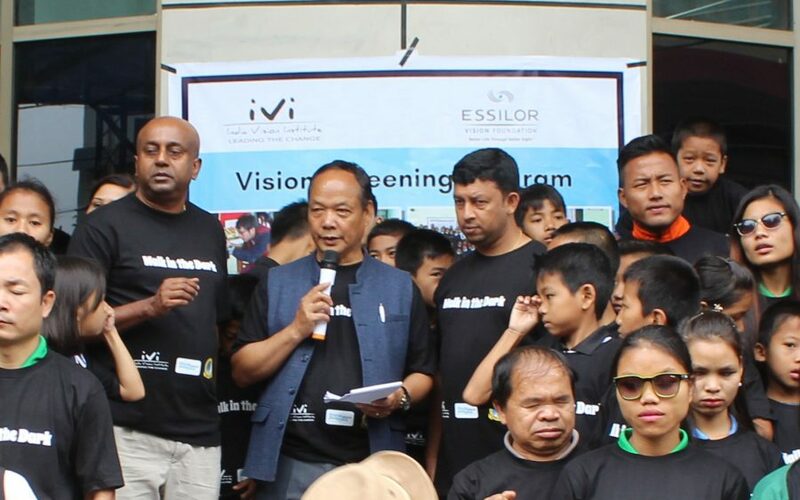 Essilor Vision Foundation India is turning 5 – to mark this occasion, the Foundation accelerated its efforts to bring good vision to underserved communities. 550 million people in India can’t see clearly and don’t have glasses. Many of them lack of access to eye care services due to a shortage of relevant professionals and infrastructure. Others simply can’t afford vision correction. Whilst our inclusive business 2.5 New Vision Generation addresses the first challenge through capacity building and training of primary vision care providers, the Foundation makes a difference in the lives of people most in need by offering them free eye tests and glasses. Essilor Vision Foundation (EVF) was launched in India in 2013 and has since been committed to providing underprivileged people the opportunity to live a better life through better sight. Over the past five years, 750,000 people have received eye tests and 85,000 have been equipped with a free pair of spectacles. This has been made possible thanks to the efforts of EVF India and its partners who include government institutions and organizations like Sightsavers, India Vision Institute, Operation Eyesight, and Mission For Vision, to name just a few. The spectacles support lent by EVF lets thousands of schoolchildren and adults to continue see a bright future of possibilities. 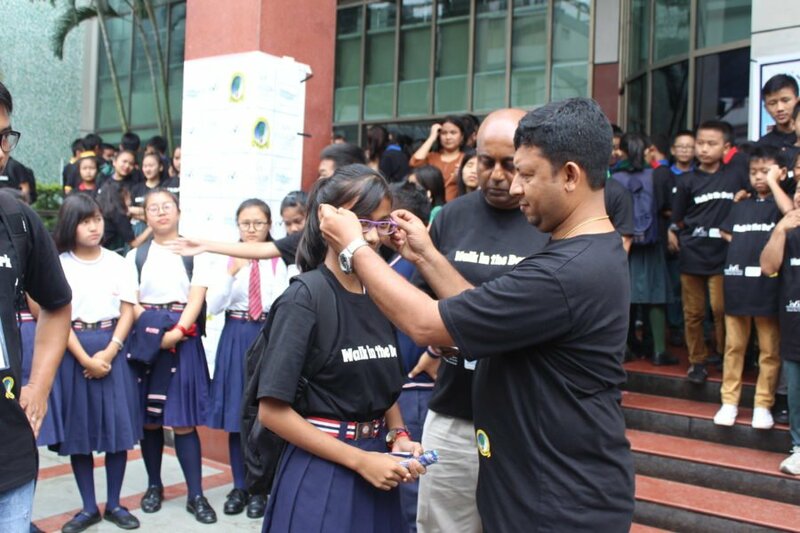 RN Mohanty CEO, Sightsavers India, commented: “Uncorrected refractive error is one of the major reasons that hamper leading a normal life for many individuals. The burden is even higher for a person belonging to the underprivileged section of the society. The spectacles support lent by EVF lets thousands of schoolchildren and adults to continue see a bright future of possibilities.” The good news is, for EVF this was just a start and there is much more to come. Partners Prerana Trust and Drishti Eye Hospital helped the foundation realize one if it’s proudest achievements; bringing eye care to 40,000 marginalized children in 600 rural government schools in Rama Nagar and Chitradurga Taluks, Karnataka state. 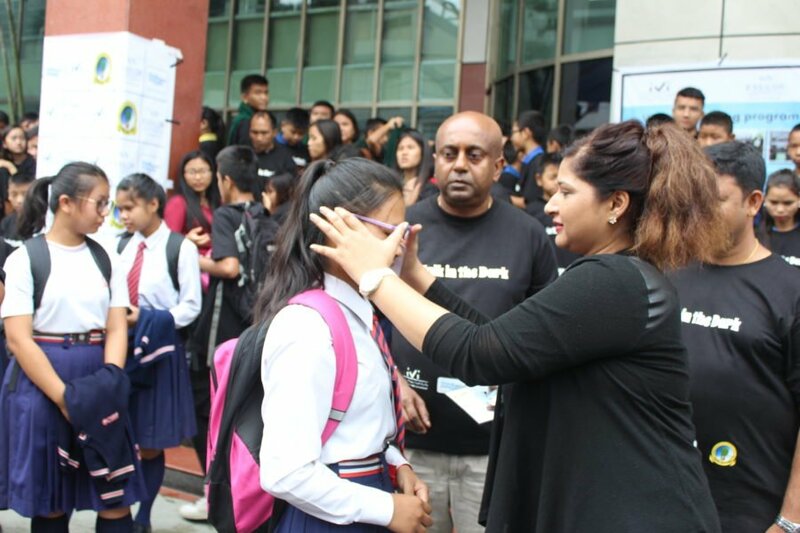 In addition, 1,000 teachers received training on the importance of good vision for children at school and learned to identify kids who might have difficulties seeing and need to visit an eye care professional. Considering 80% of what a child learns at school is perceived through their eyes, creating awareness of how important it is for them to see well, is one of EVF India’s major focuses. Most recently, 500 children of a residential government school in Doddaballapur, a rural region near Bangalore, were screened along with 50 employees. Those in need received a free pair of glasses. 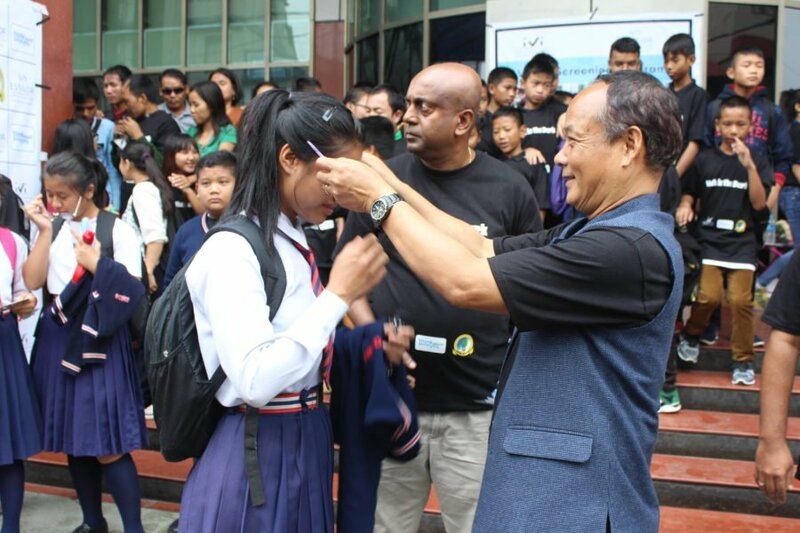 For many beneficiaries, this was the first time they had their eyes tested. Supported by the Essilor manufacturing site, many more schools will follow with the ultimate aim to eradicate uncorrected poor vision in the region. The foundation is working on another meaningful project to reach 120,000 tribal children in just three months. Living in remote areas of Telangana state, the children don’t have access to conventional distribution channels and many come from low income families who cannot afford to buy their children eyeglasses. Working with the non-for-profit eye hospital Pushpagiri Vitreo Retina Institute (PVRI) and with the support of the local government, EVF India will screen all the children and provide eye glasses to those most in need by October 2018. 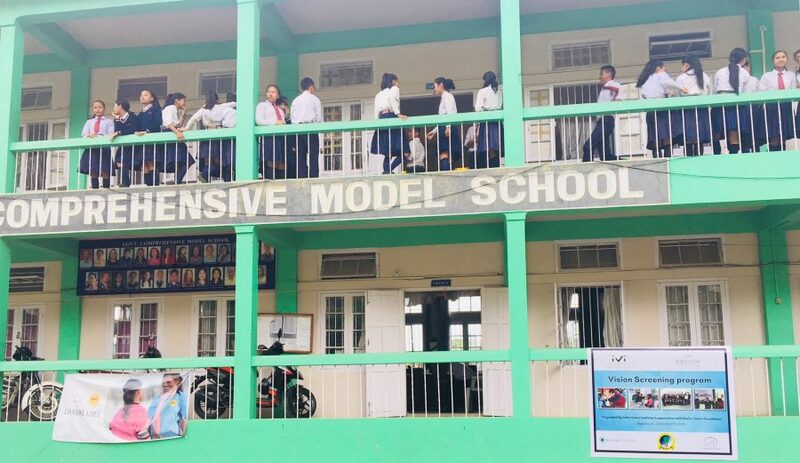 Earlier this year, the foundation partnered with the India Vision Institute (IVI) to launch a programme in Aizawal, the capital of the hill state Mizoram, in the North East of India, which will reach another 10,000 school children in that region. Through the above initiatives, EVF India will have screened over 160,000 children by the end of 2018 and early 2019. But children are not the only focus. The foundation actively contributes to Essilor’s global efforts to increase road safety for everyone – drivers, cyclists, motorcyclists and pedestrians. It organizes screening events for drivers and most recently Dabawallas in Mumbai, a community of about 5000 men who, through an incredibly efficient system, deliver home-cooked food to people’s work-places. 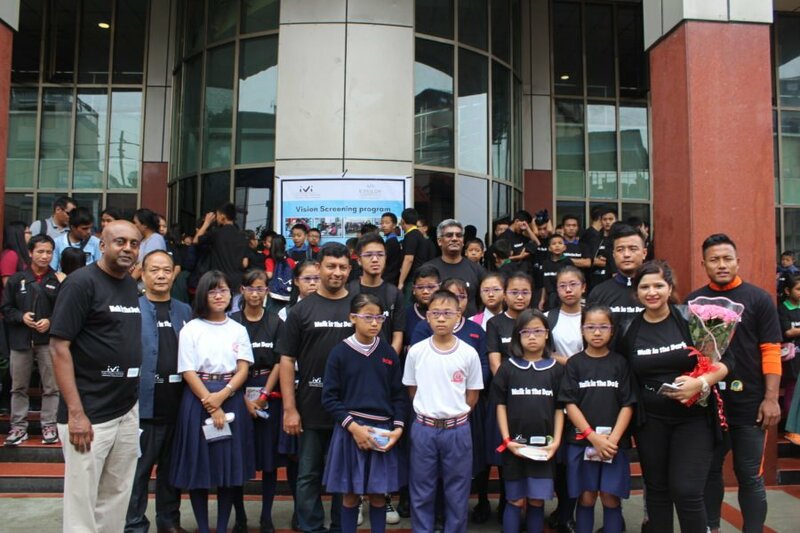 All these programmes show there is a real need for the work which EVF has done over the past 5 years and will continue doing to contribute to Essilor’s ambition of eradicating poor vision from the world in just one generation.